It was a cannon which functioned with steam. 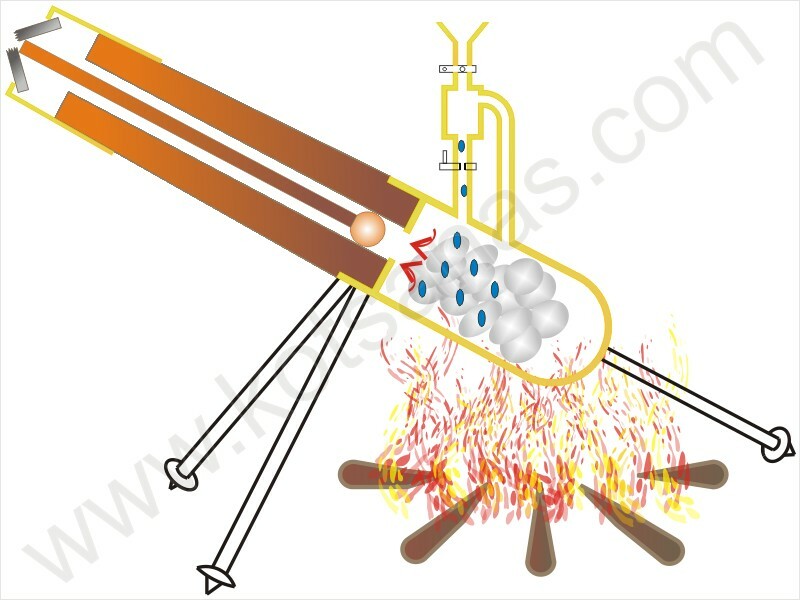 It consisted of a metal cylindrical boiler which was connected to a closed container of water with a valve. The boiler at the open utmost end had an incorporated wooden barrel in which the launch stone ball was placed. The barrel blocked with one wooden joist that was secured with two tenons. 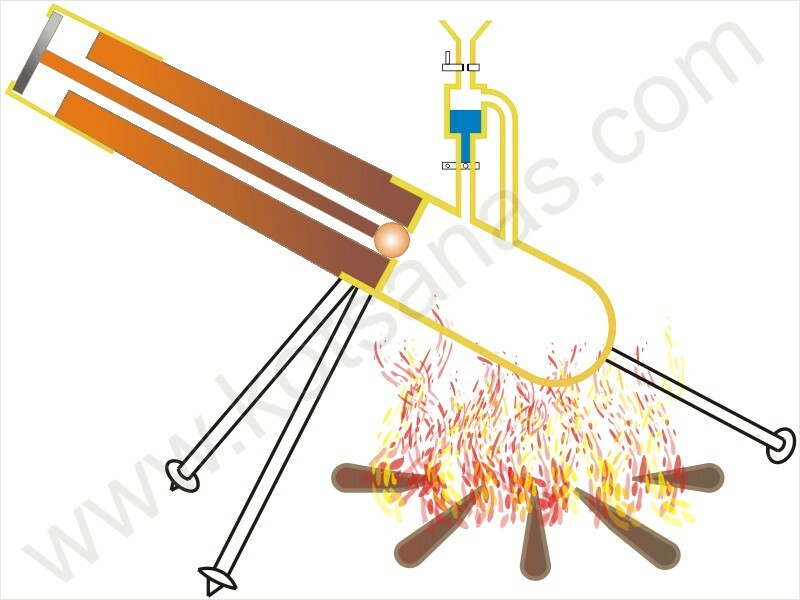 When the boiler acquired the appropriate temperature with the fire, the valve was opened, the water poured into the boiler, it evaporated rapidly, the wooden joist broke and the ball was launched. The range of the ball was regulated by the inclination of the weapon and the selected resistance of the wooden joist. 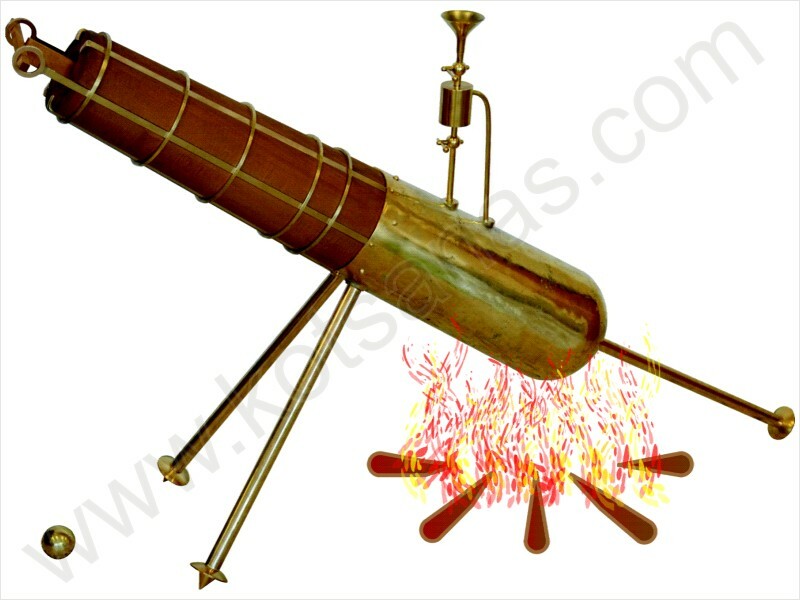 The first redesigning of the steam cannon of Archimedes was made by Leonardo da Vinci. SOURCES: "Petrarca, De remediis utriusque fortunae", "Periodical Europeo, inset Carire Leonardo, Three [schediasmata] with notes of Leonardo da Vinci", "Diels, Antike Technike"